Three Tricks that make RAW Kale taste yummy! - Real Food. Real Fitness. 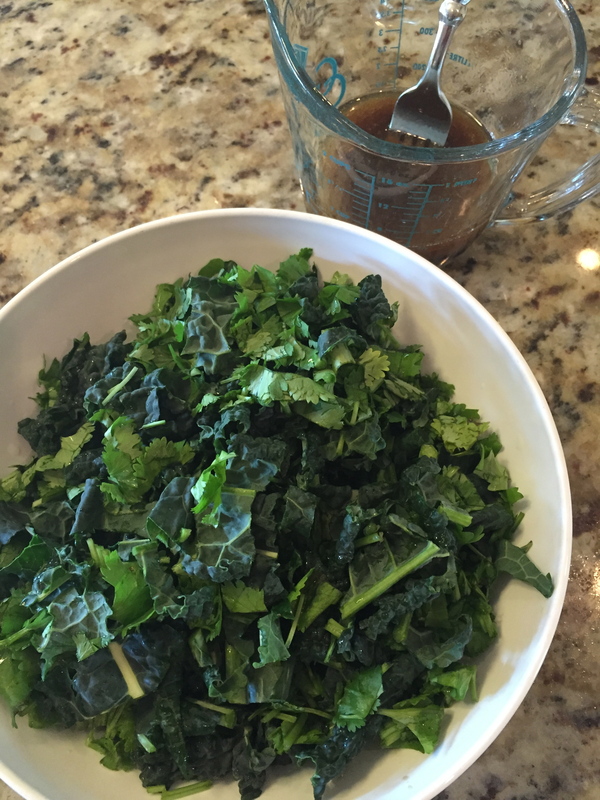 Three Tricks that make RAW Kale taste yummy! Greens, greens, EAT YOUR GREENS! We hear it from every health magazine, t.v. show, and website! But WHY? I won’t bore you with all the nutritional data but basically it boils down to this…..Greens are like the warriors of superfoods! Kale especially is amongst the most nutrient dense foods ON.THE.PLANET! Kale is rich in antioxidants and most notably an important source of vitamin k. Best of all kale is actually loaded with compounds that are believed to have protective effects against cancer. WOW! AMAZING! With all that said I still have have a hard time eating this beautiful food becuase I find it to be so bitter. 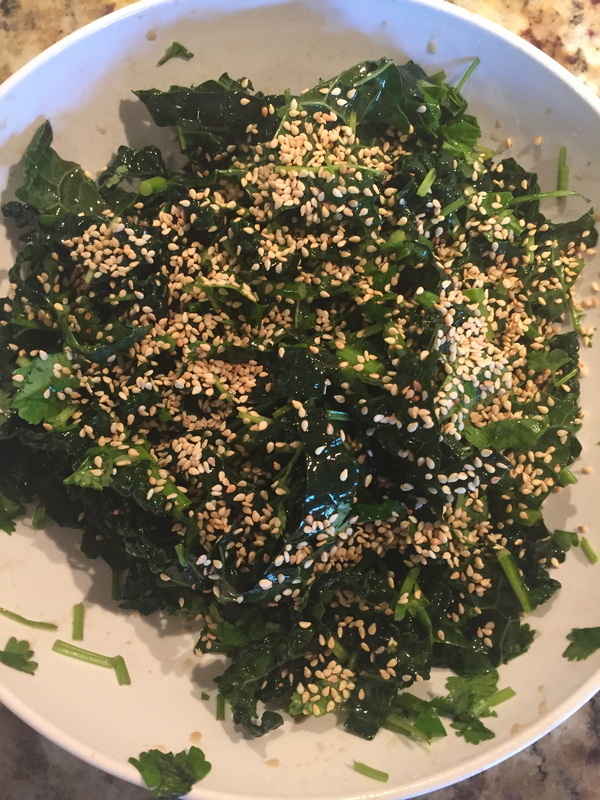 Here is a delicious recipe and 3 tricks I came up with to make RAW KALE not just tolerable but yummy!!! First, Use TUSCAN kale. It is softer and less bitter in my opinion. 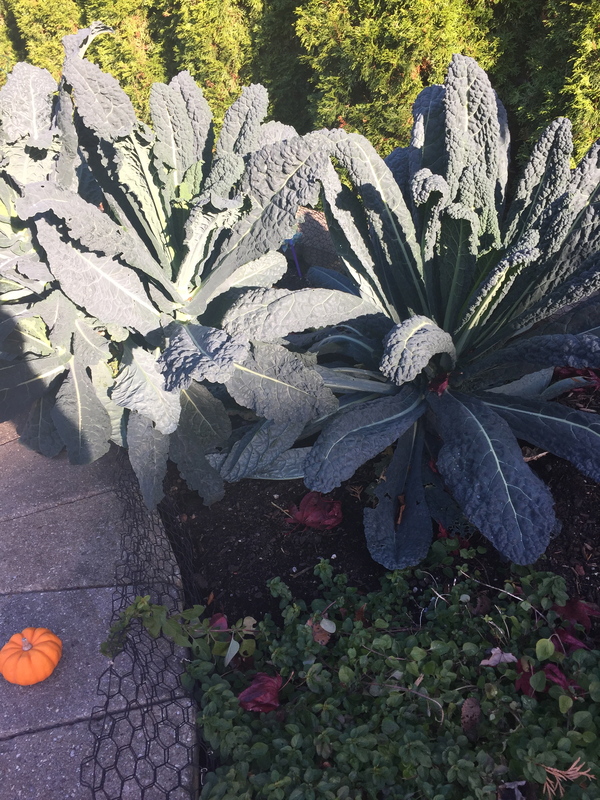 I actually grow this right in my garden and let me tell you this plant produces a bountiful harvest! Next mix in CILANTRO. This herb is earthy and spicy and helps off set the kale taste. 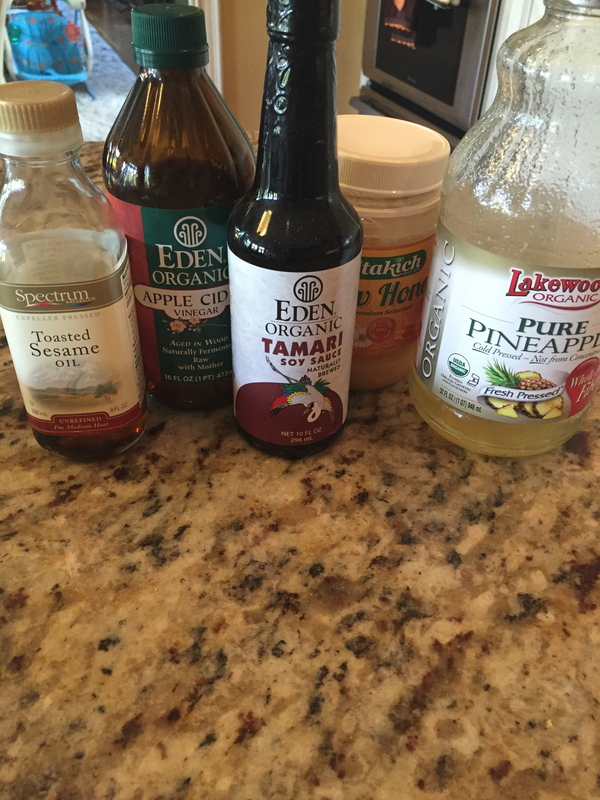 Lastly, Mix up this fabulous marinade/dressing and MOST IMPORTANT hand massage the dressing on the kale and let sit in the fridge for an hour. Last final tip is to top with toasted sesame seeds. They add in a warm crunchy flavor that finishes off this salad perfect! Now you’ve got yourself a bowl full of yummy greens! Eat up and Enjoy!